Lanigan Clarke was founded in 2013 by Jane Lanigan and Garry Clarke two highly experienced solicitors . We are assisted by solicitors Aine Murray and Amanda Lafferty and a team of experienced legal professionals. We provide a full range of solicitors services to a client base in both the North West of Ireland from our Letterkenny, Co.Donegal office and in Dublin. Our services include offering legal advice relating to personal injuries, medical negligence, accident claims, commercial law, property purchases and sales, wills and probate,planning and notary public services. We also provide litigation and defence insurance support. 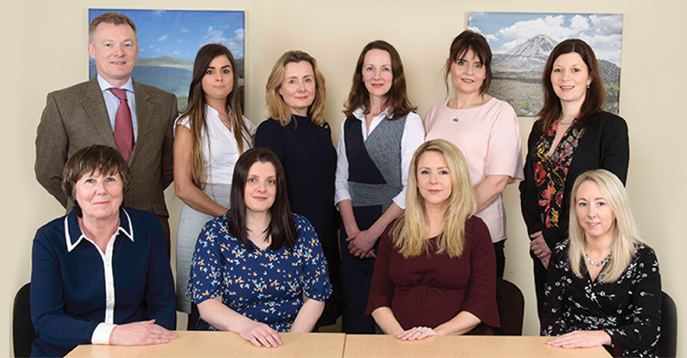 With many years of experience in legal practice, our team of solicitors in Donegal and Dublin are fully qualified and equipped to provide a professional and practical legal service. To hear what previous clients have said about our services and legal advice, view our testimonials. Book a Consultation or request legal advice call our solicitors today on 074 912 9110 in Letterkenny or 01 531 3494 in Dublin.